Are you Looking for the best price for FBT MITUS 118S 18 inch 1000W Subwoofer ??? ...you're in the right place!... We aim to have the best prices online for FBT MITUS 118S 18" 1000W Subwoofer ...we'll match or beat any genuine cheaper price!.. If you think you can buy FBT MITUS 118S 18" 1000W Subwoofer cheaper elsewhere, let us know, and if we can verify the price, you can buy it from us for the same price or less. Want to save money on FBT MITUS 118S 18 inch 1000W Subwoofer ??? 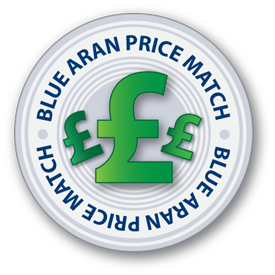 if you find it cheaper and in stock elsewhere, we'll match the price (subject to terms and conditions). The procedure is simple: First add FBT MITUS 118S 18 inch 1000W Subwoofer to your basket, view the basket, and from the basket screen click the price match icon, then enter the details for the price you want us to match for FBT MITUS 118S 18 inch 1000W Subwoofer. We can normally provide a discount on a quantity purchase of FBT MITUS 118S 18" 1000W Subwoofer ...if you can't see a bulk price for FBT MITUS 118S 18 inch 1000W Subwoofer, contact our sales office for assistance. Our stock indicator for FBT MITUS 118S 18 inch 1000W Subwoofer is live, so if we are showing it in stock, it means it's in stock, in our warehouse, or one of our supplier's warehouses ready for immediate despatch. FBT MITUS 118S 18" 1000W Subwoofer is sometimes also known as: with variations on spelling of model number. we include variations and related words to help you find us so that YOU can get the best deal!